Portsmouth Crown Court heard how Sonny Marsh carried out 20 burglaries of buildings, including shops, and one burglary at a home. 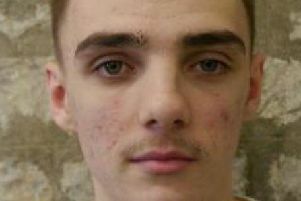 The 20-year-old, formerly of Swanmore Road, Havant, fell into a spiral of criminality who at the age of 14 was ‘graduating from primary school to GCSEs in dishonesty,’ defence lawyer Robert Bryan said. Marsh admitted five burglaries of businesses, and burgling the living area above the Elm Tree Inn in Swanwick on December 24 last year. Nothing was taken after he was pushed out the door, with Marsh fleeing on a motorbike. :: Card Factory in Cosham on May 19, 2018, when he walked in through a fire exit during opening hours and took £285 from the staff area. :: Andy Baits in Copnor on December 18 where he was seen in the offices and in the stairwell, and identified on CCTV but took nothing. :: Stoke Fruit Farm in Hayling Island on December 28, when he took purses containing cash in a seven-minute burglary. :: The Sir John Baker Pub in North End on January 1. Marsh went into the staff area, was challenged and then left. :: Star and Garter in Copnor on January 8 where he walked into staff-only area of the garden and when challenged said ‘I thought this was the beer garden’. CCTV showed him walking into the office but nothing was taken. Marsh asked for 17 crimes to be taken into account when he was sentenced - including 14 burglaries of buildings, two thefts and a fraud. They all took place between April 29 last year and February this year. He asked the judge to take a ‘leap of faith’ and allow Marsh - who had been badly abused as a child - a chance to be assessed on bail for a drug rehabilitation requirement. Sentencing Marsh to 16 months, judge William Ashworth said: ‘The time has come where your offending and the repetitive nature of it has outweighed, in justice terms, that need for rehabilitation. Marsh, who has 25 convictions for 59 offences, had never received a jail term before this - but judge Ashworth said previous hearings had given him a chance.